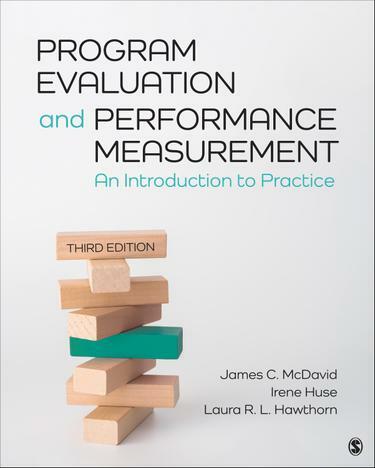 Program Evaluation and Performance Measurement offers a conceptual and practical introduction to program evaluation and performance measurement for public and non-profit organizations. James C. McDavid, Irene Huse, and Laura R.L. Hawthorn discuss topics in a detailed fashion, making it a useful guide for practitioners who are constructing and implementing performance measurement systems, as well as for students. Woven into the chapters is the performance management cycle in organizations, which includes: strategic planning and resource allocation; program and policy design; implementation and management; and the assessment and reporting of results. The Third Edition has been revised to highlight and integrate the current economic, political, and socio-demographic context within which evaluators are expected to work, and includes new exemplars including the evaluation of body-worn police cameras.